Axiron is a topical medication used to treat low or no levels of testosterone in men; testosterone is a naturally occurring hormone that is necessary to the healthy function of many of the processes of the body. Axiron can help raise testosterone levels to normal levels when used exactly as prescribed; this medication should be applied to the underarm area and dosage will vary by individual needs. This product should not be used by women or children as it could cause the occurrence of male characteristics to appear as an adverse side effect. 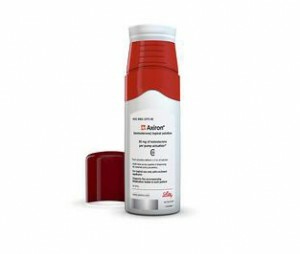 Axiron is available as a topical solution and should be used in the armpits; for best results the under arm area should be clean and dry. If you normally use an antiperspirant or deodorant, use it first and allow 2 minutes to lapse before applying Axiron. This product should not be applied with the hands or fingers, it is also important to wait 2 hours before bathing or swimming after applying Axiron. Additionally, this product is flammable until it dries which makes it very important to avoid open flames until the product has completely dried.